It's a bit like the way Harvey got shafted by Freo last year. A promising top 4 side, derailed by injuries, fails to make the top 8. Last year ruthless Ross Lyon infamously took the offer of Harvey's job. In 2012 Micky Maltshake has bided his time until Carlton had no choice but to make their decision when he said its this year or never. The footy polls reckon 70/30% it's the wrong decision to axe Ratts, who had a better win/loss than Clarko, Bomber Thompson and old man Maltshaker himself after 5 seasons, and those 3 ended up with Premierships after their clubs stuck with them. The Big Question is - Will Carlton re-hire Ratten in five years time after Maltshake sends us to the bottom again a la Pagan style. Regardless, the season rolls on and there's a couple of telling blockbusters lined up for the final round. The Swans take on the Cats at the Cattery, while the Hawks host the Weagles at home. But this top 4 jostling is irrelevant. The Freo Dockers are my sure thing to win the flag and will finally deliver for their #1 ticket holder Alvin Purple in 2012. They just need to show some belief, and familiarise themselves with a certain piece of silverware. Spot Prize #7 didn't go off last week. There were a few correct answers from previous winners, which I was impressed with. But not being eligible, the prize remains available for those in the prize pool yet to win a prize. Five $50 double passes to The Laugh Garage are up for grabs! On to the highlights before I puke, which are a bit shorter than usual as I edited out the Gold Coast / Carlton vision. Then read on for Uglybustards Tipping Results and the Spot Prize question. Longee leads ladder by a point! For the first time in 7 weeks the deadlock between himself and Raining Chump Griggsy has been broken in the tipping ladder comp. Longee also took a slight break on margin points by 3 in what can only be described as a 2-horse-race with just 18 games to tip for 2012. The crucial game was the Swans v Hawks cliffhanger, which could've gone either way with the Sydney-siders a goal up with 2 minutes to go. Uglybustard remains 3rd in no-man's-land, too far behind to risk catching the leaders but with a nice break over 4th place he'd be silly not to. Craig Nettlebeck, Elmo, Billycat, powerful and Sam Griggs are locked in a tight battle down to 8th spot. It's an absolute cliffhanger between The Tilt, Rod Carter, and Uglybustard in the margin comp, with the barest of margins between them with just 5 rounds to decide the Margin Champ. The Tilt pulled back 2 goals on Uglybustard to creep within one point. 3rd placed David Feck'Em is back out to 6 goals in arrears, and needs to dig deep in the last few rounds. The big mover this week was Longee from 10th to 5th. No jackpot this week, Longee and #Car17on doing best with 7/9. Up to $25 for round 23. 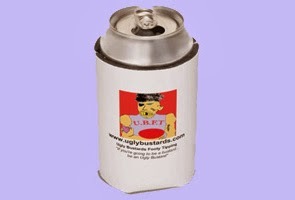 In the Trivia Comp, Uglybustard has increased his lead moving to 199, a decisive gap over Rotten Ronnie Andrews (184). In a surprise move on the ladder, that font of knowledge gonadbreath has joined Griggsy on 171 points. There is no alternative prize, only the double passes are up for grabs. Only one double pass per tipster. result announced? who`s winner of round 23 giveaway?